To help create an environment conducive to learning, all students at Riverbend Prep are required to wear uniforms. This policy is designed in order to allow students to focus their attention on academics. To ensure that the school’s uniform policy has its desired effect, it is important that it be implemented consistently. School leaders, faculty, and staff strictly enforce this policy and will respond immediately to violations of the policy. Students should exhibit good taste, personal hygiene, and personal pride through good grooming and dress habits. It is the policy of this school that all students are expected to be neat, clean, and appropriately dressed. 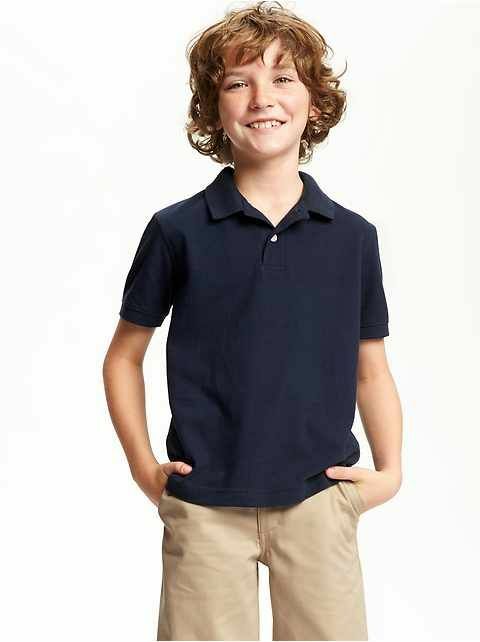 Both girls and boys may wear navy blue or baby blue polo shirts. Uniform shirts must be tucked in at all times and clean. Navy blue sweatshirts are permitted. Jackets may be worn to school, but must be taken off once they have entered the classroom unless arrangements have been made between the teacher, parent, and administrator. Boys may wear long or short beige pants. Girls may wear long or short beige pants and knee-length beige skirts. Floor-length skirts, baggy or wide-legged pants and allowing pants to sag are not permitted. Sweat pants, denim and corduroy pants are not allowed. Middle School studnets also have the option of wearing navy bottoms. Students are required to wear closed-toe shoes. High-heeled shoes, open-toe sandals, open heeled shoes, or slippers are not permitted. Students must keep their hair neat, clean and out of their eyes. Students may not wear drastic or unnatural hair colors or styles, e.g., shaved letters, numbers, or designs. No make-up is permitted for students K-8. No artificial nails are permitted. Administration has discretion as to what is acceptable. Students may wear a necklace that is kept under their blouse/polo shirt. Students may wear small, simple stud earrings only. No hanging earrings. Hoop earrings of any size are not permitted. Nose rings, eyebrow rings, lip rings, tongue rings, and belly-button rings are not allowed.